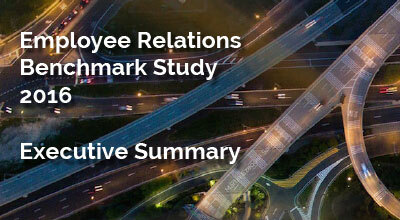 See how organizations like yours are handling employee relations issues. This groundbreaking study explores the processes, management models, technology, and strategies that can help strengthen your employee relations strategies. Identify ways to efficiently manage your HR resources, develop meaningful analytics, and protect your organization from costly litigation. Download "The 2016 HR Acuity Employee Relations Benchmark Study: Executive Summary" today!